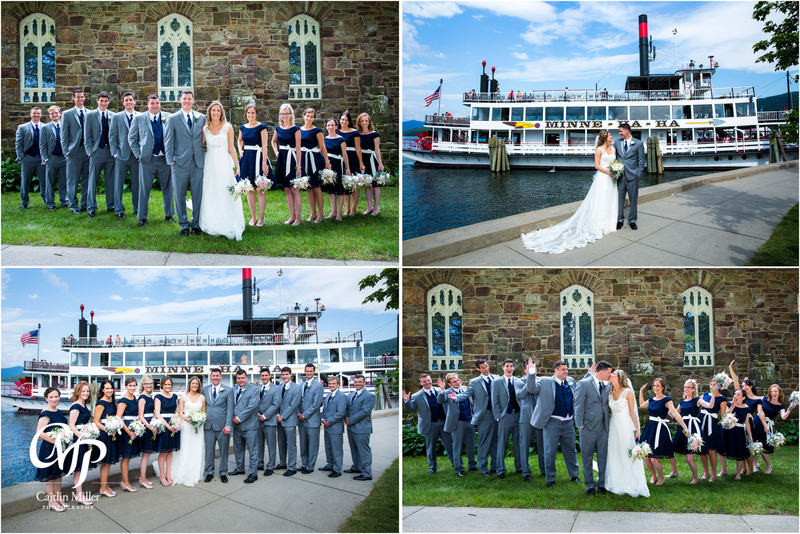 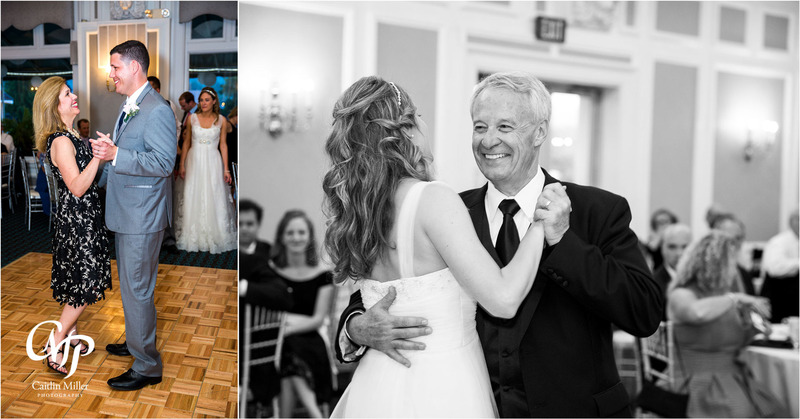 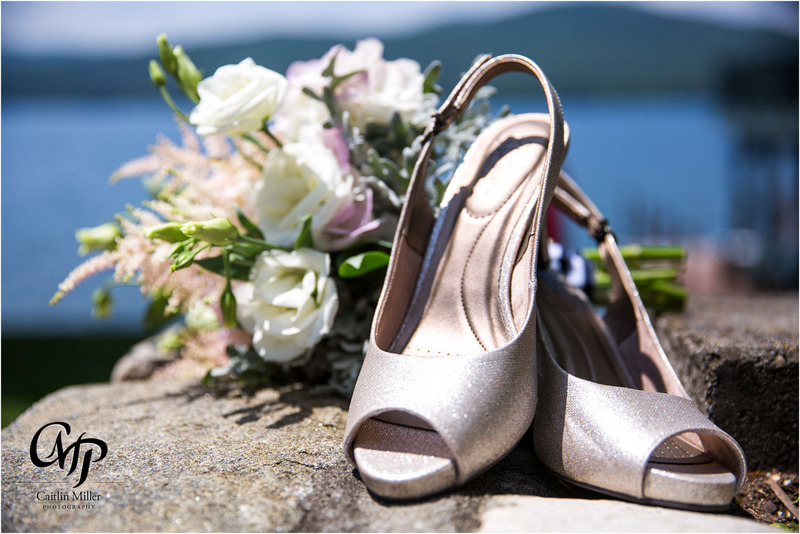 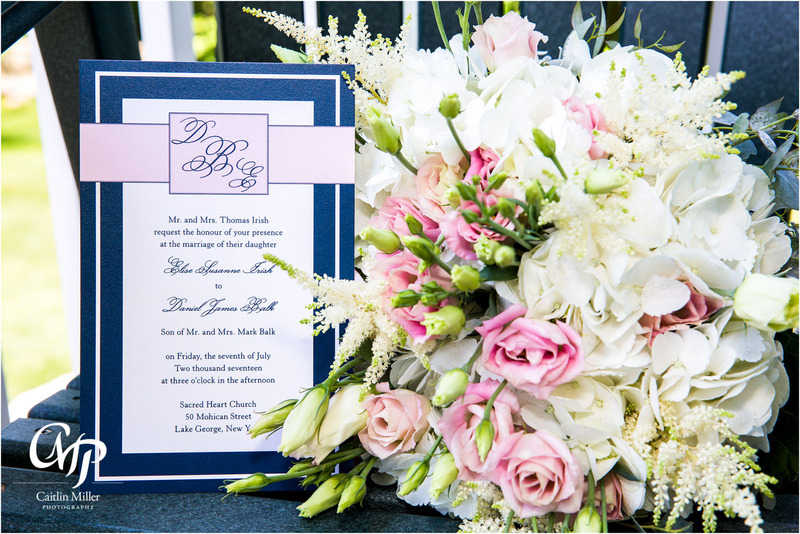 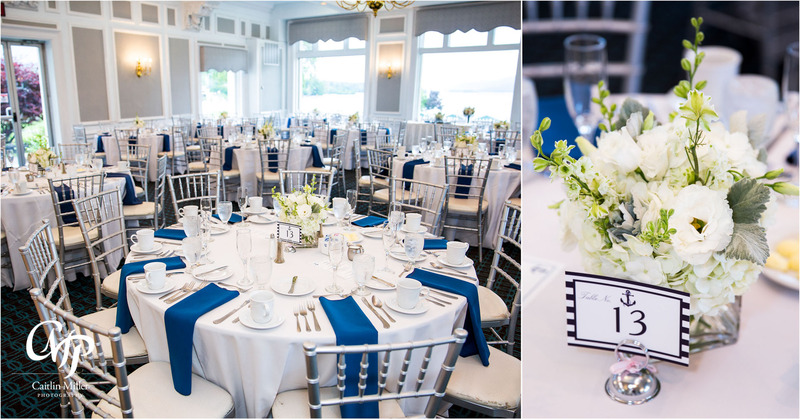 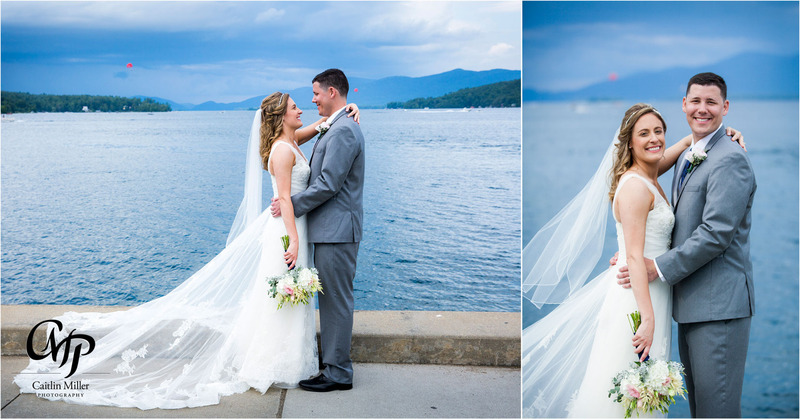 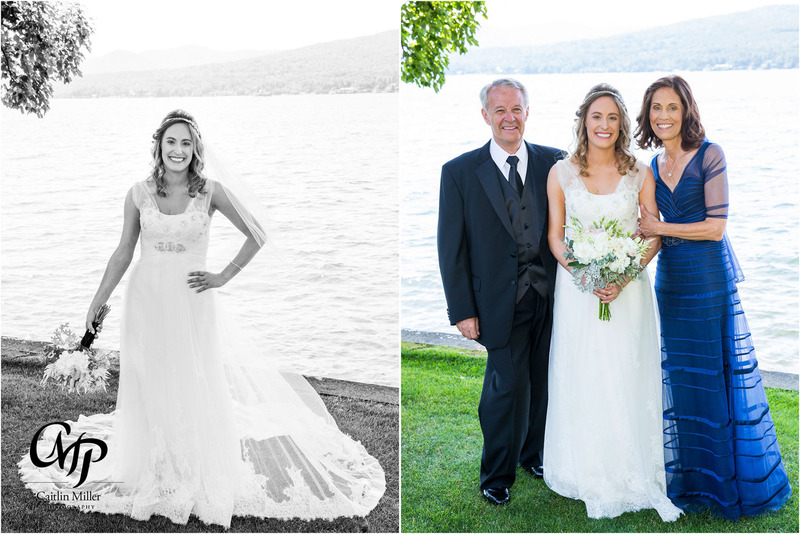 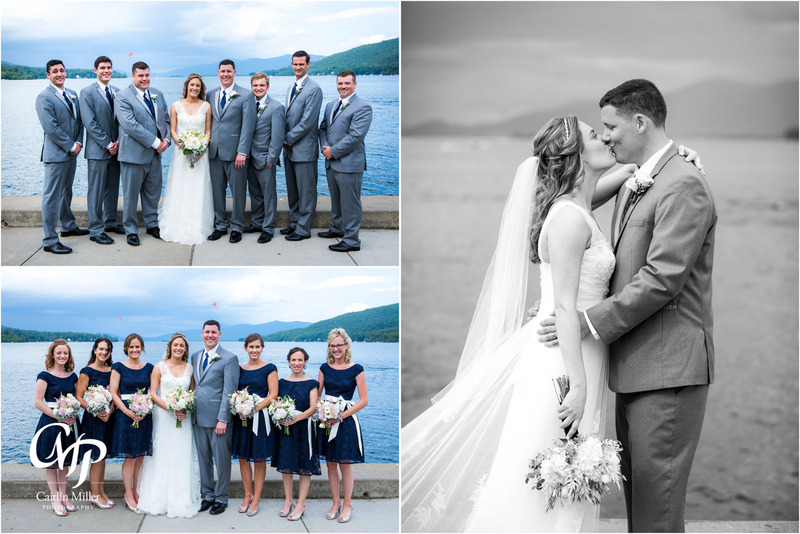 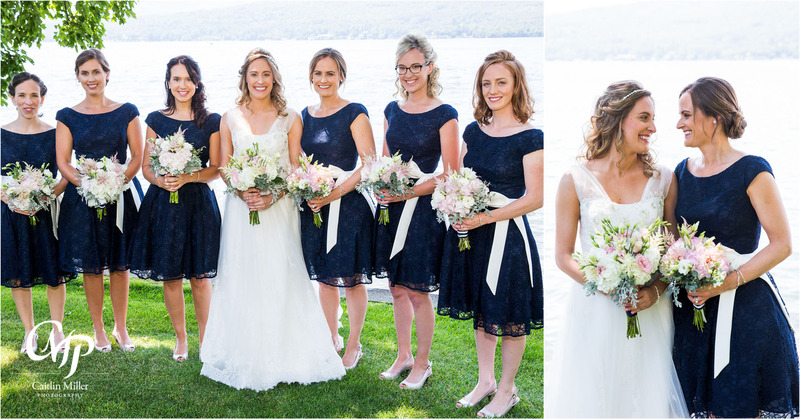 This stunning wedding at the Fort William Henry began at Elise’s lakeside home in Assembly Point, on Lake George. 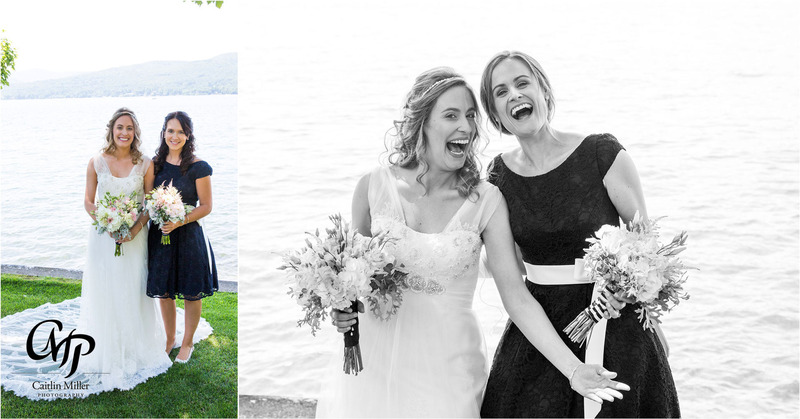 She and her bridesmaids got ready and shared laughs and drinks before getting into their formalwear. 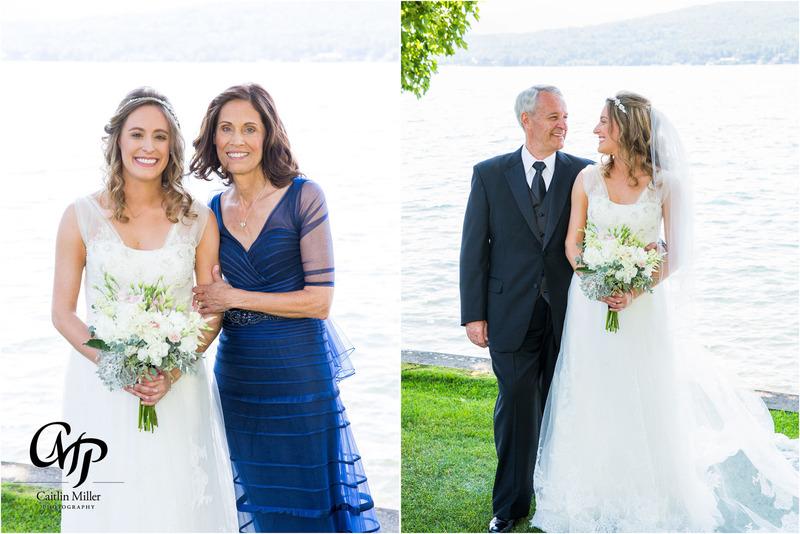 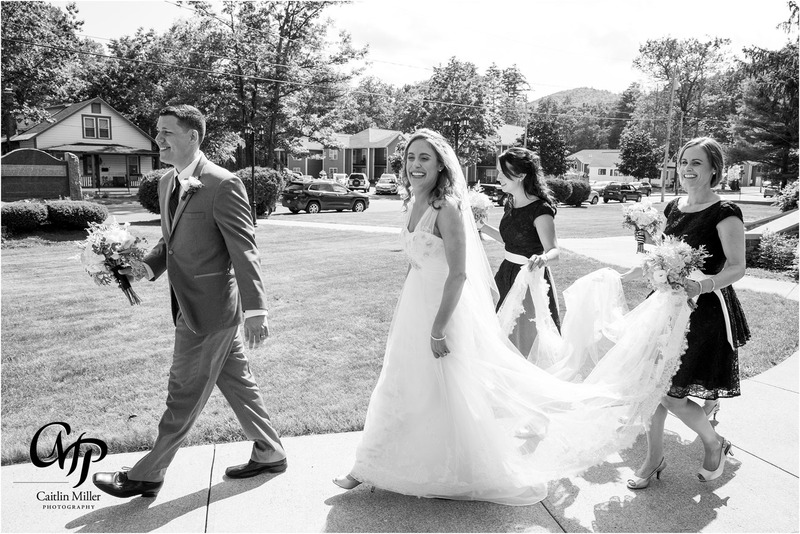 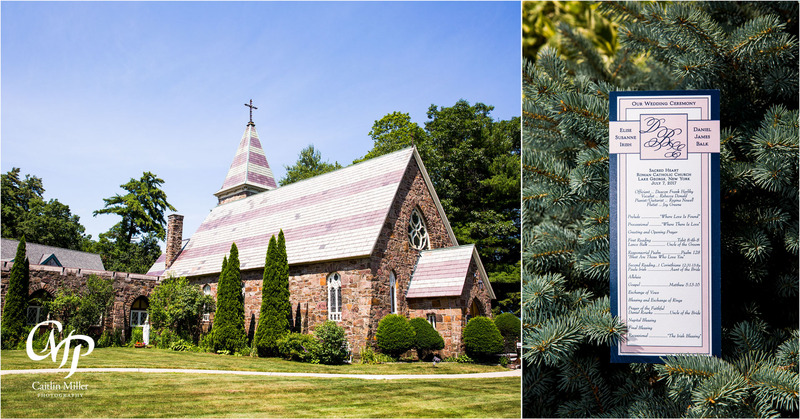 The bride and family took sweet formal photos on the lawn overlooking Lake George, before boarding the limo to the Sacred Heart Church in Lake George Village. 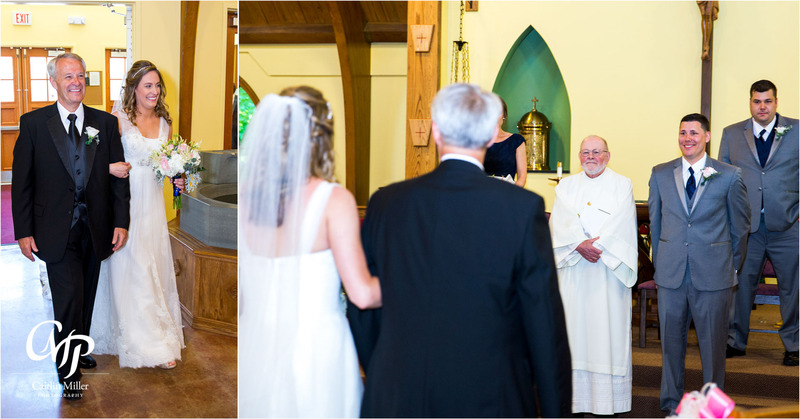 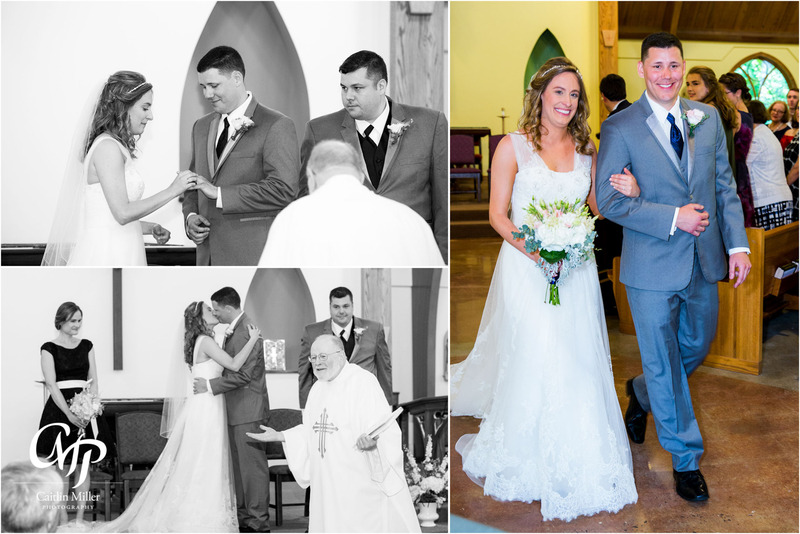 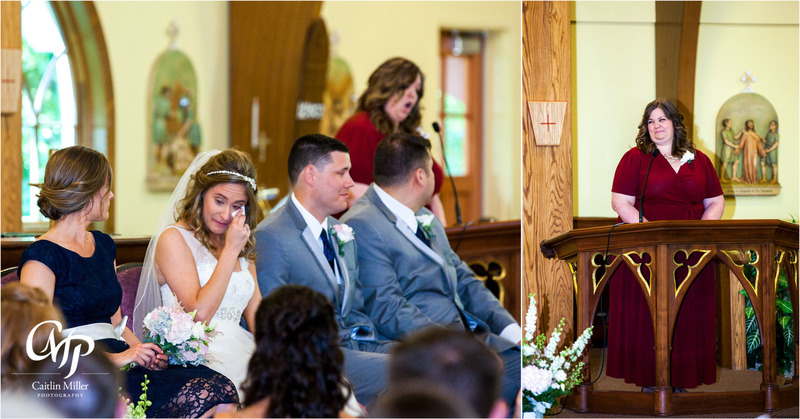 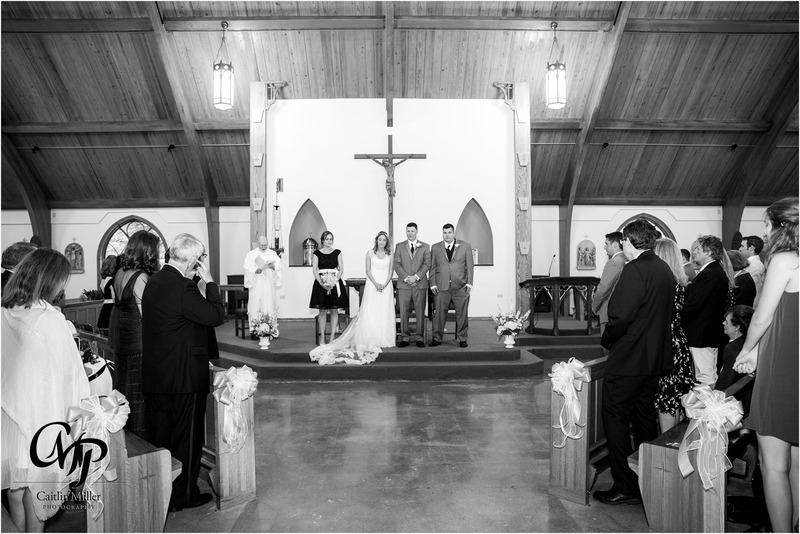 The groom, Dan, beamed as his bride to be walked down the aisle and sat by his side during their touching Catholic ceremony. 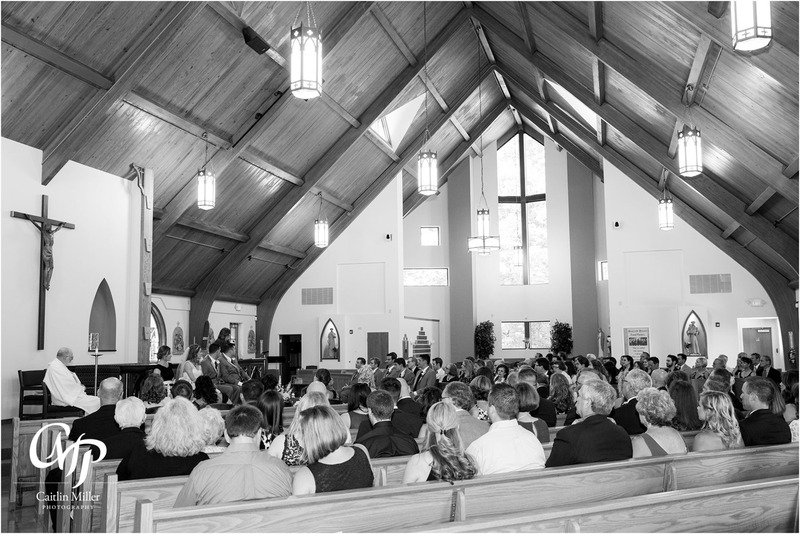 Words were shared by close friends and their officiant before the formal ring exchange and announcement of Mr and Mrs Balk! 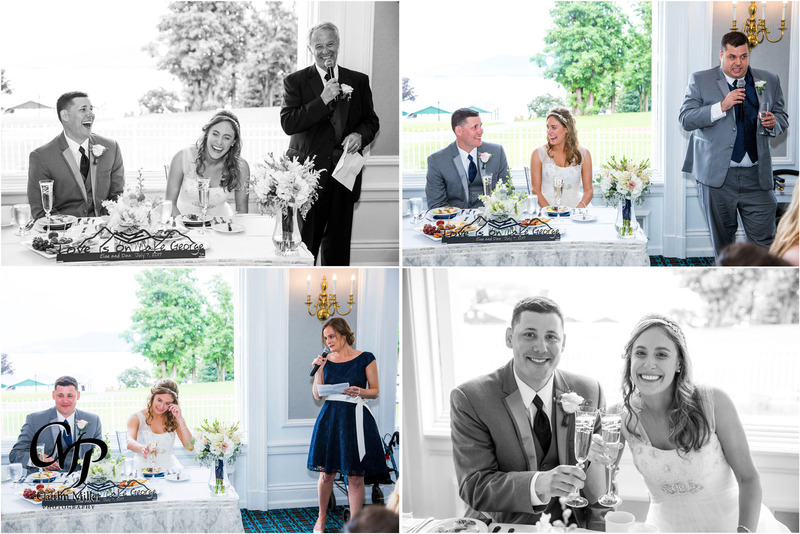 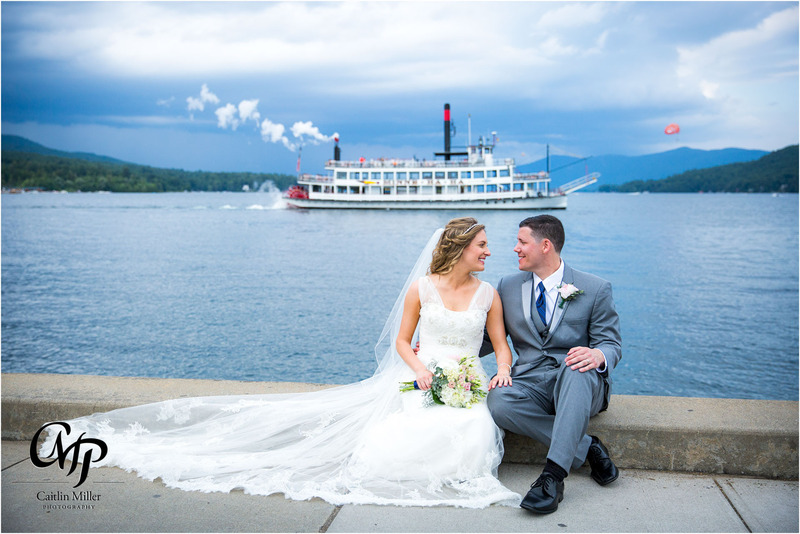 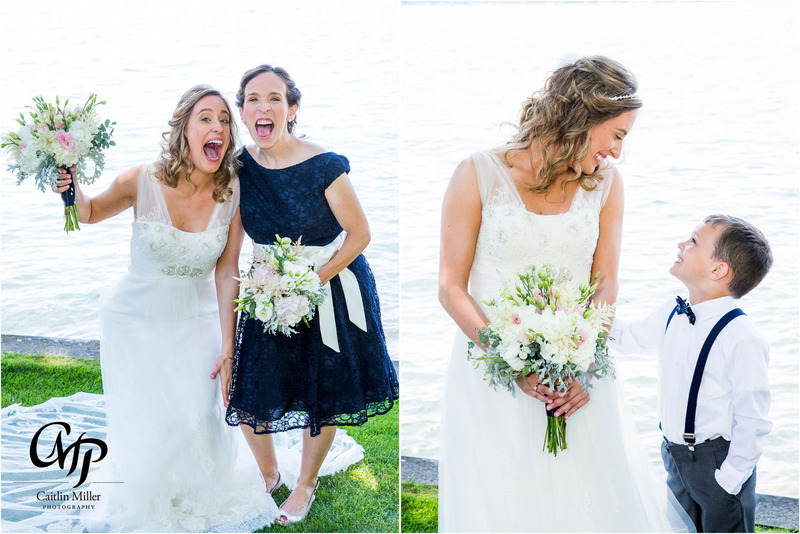 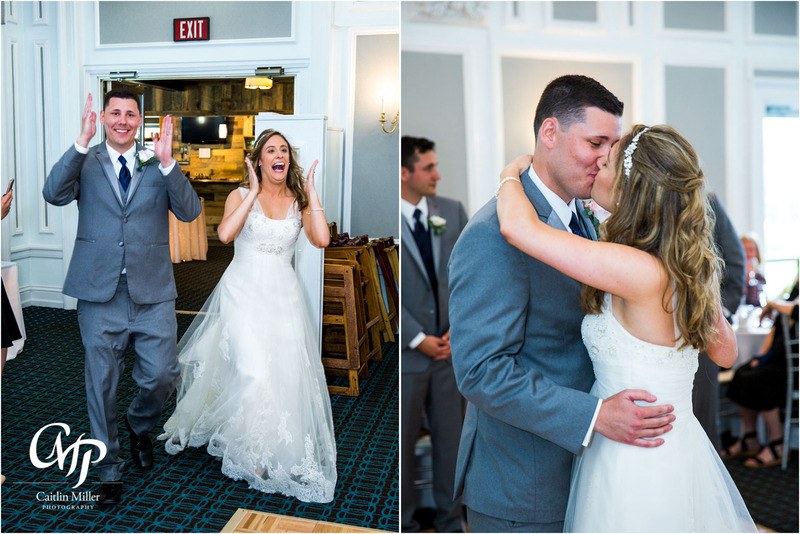 The bridal party and couple proceeded to the lakefront sidewalk in front of the Fort William Henry for some fun formals — including a well timed appearance by the famous Minnie-Ha-Ha steamboat! 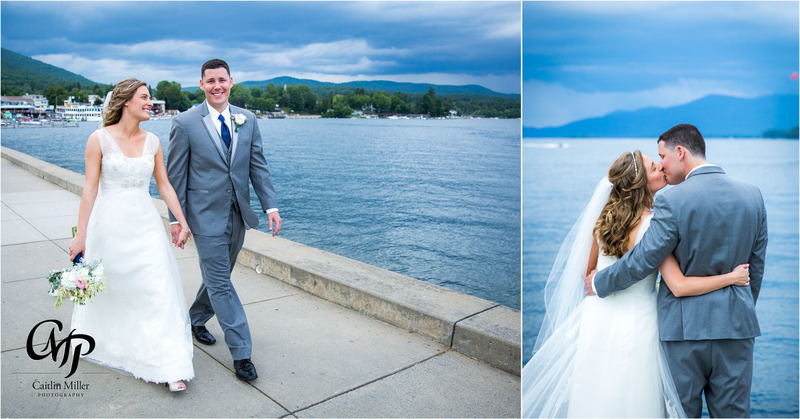 The couple then took sentimental photos with Elise’s parents (who were also married at the Fort William Henry) in front of the Fort’s canon, before heading into their fun filled reception. 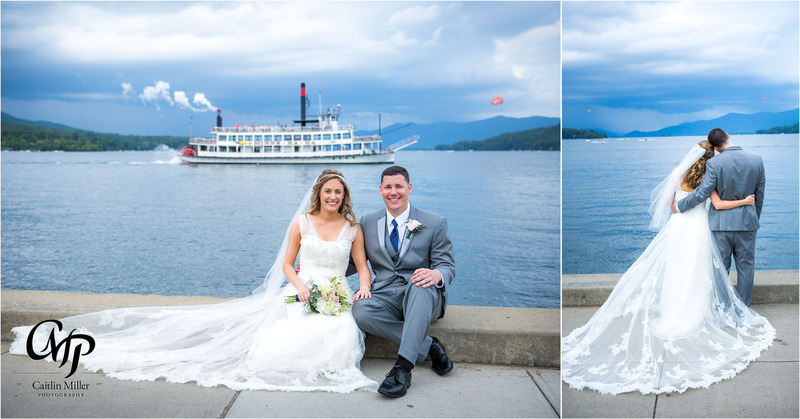 We just missed the torrential downpour that followed, cooling down the hot summer day. 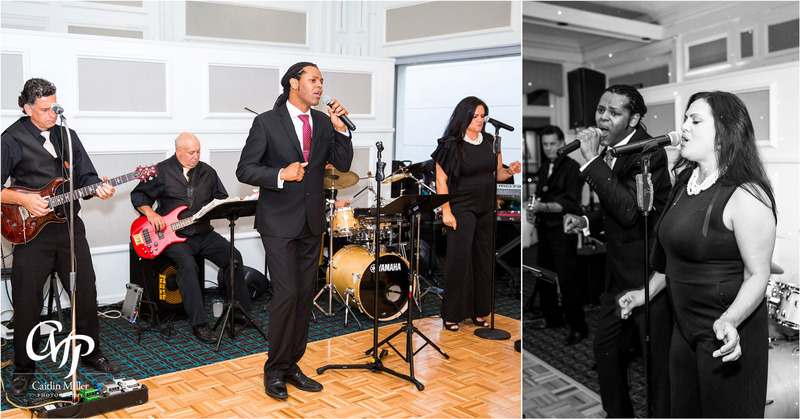 At the reception, the Grand Central Station band rocked the house, playing awesome dance tunes and sweet slow songs for the bride and groom and their guests. 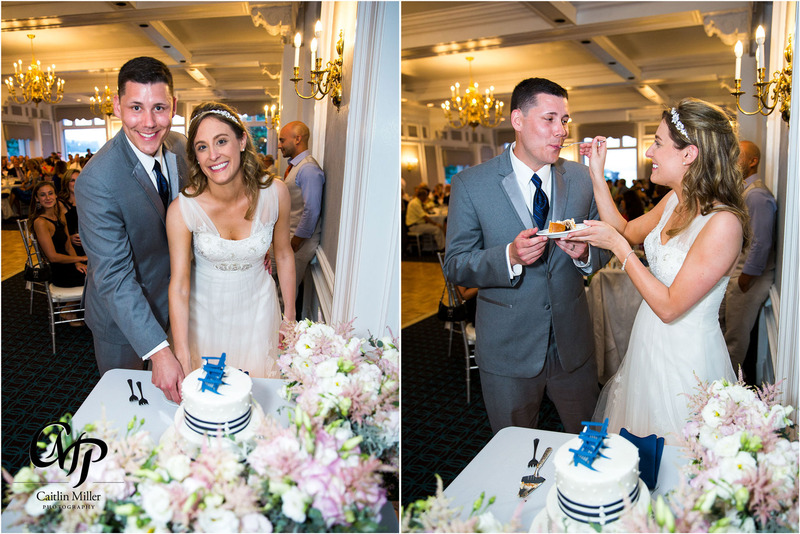 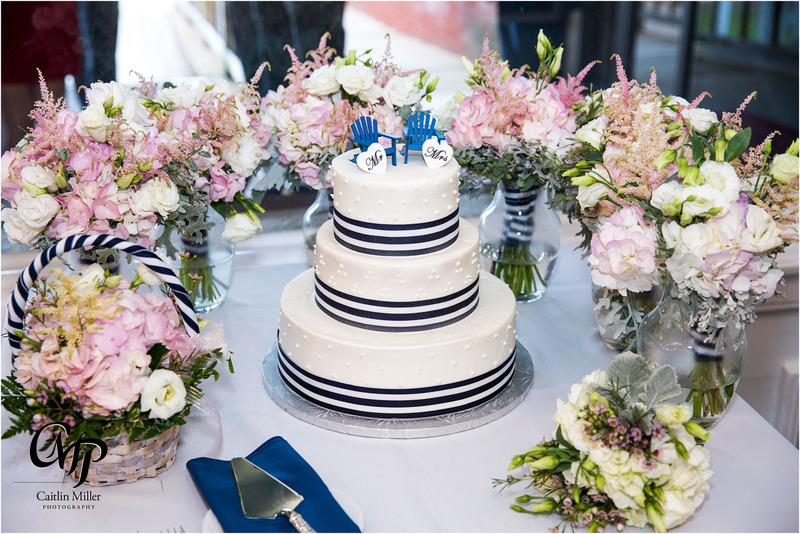 The Fort William Henry’s culinary staff impressed as usual with a three course dinner — followed by a cake cutting by the bride and groom. 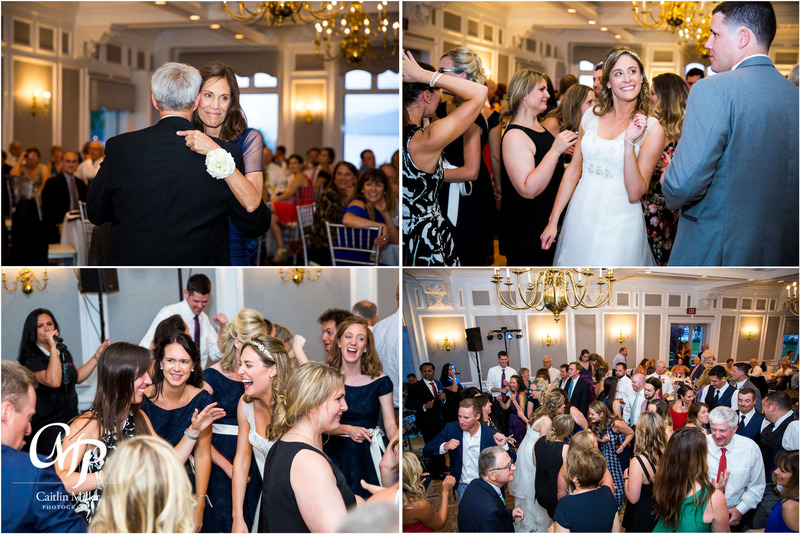 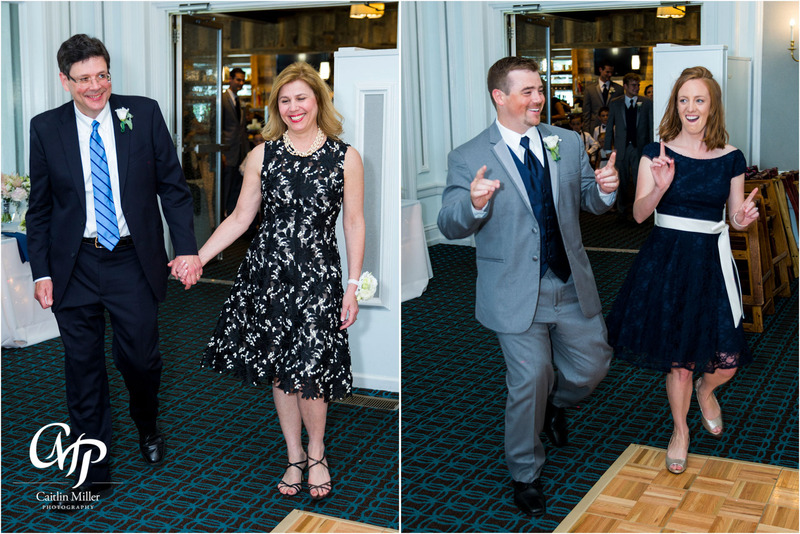 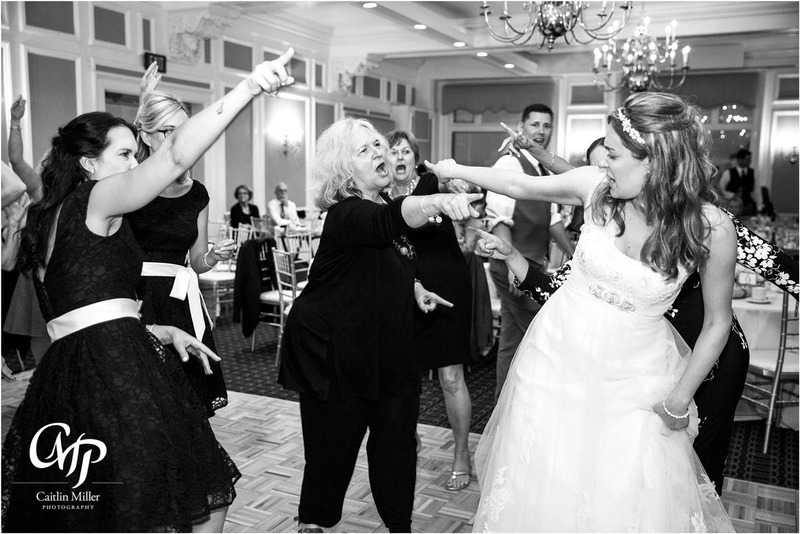 Dance moves and singing filled the White Lion Room of the remainder of the evening and fun was had by all! 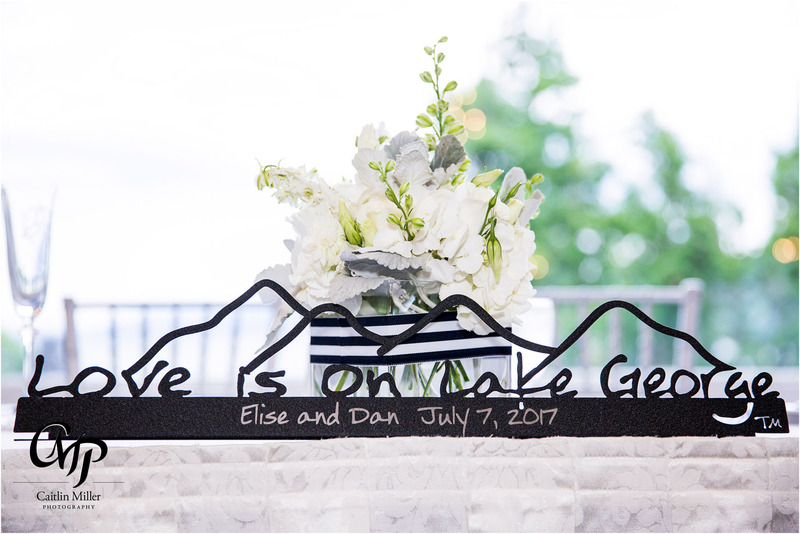 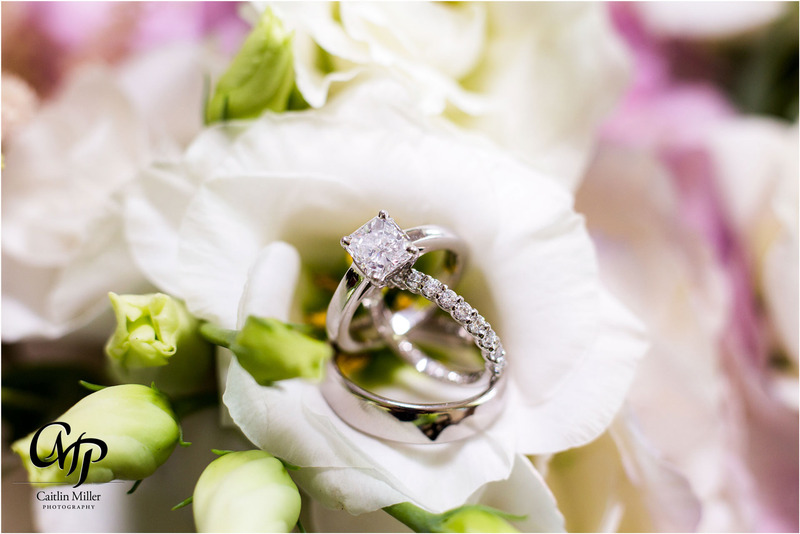 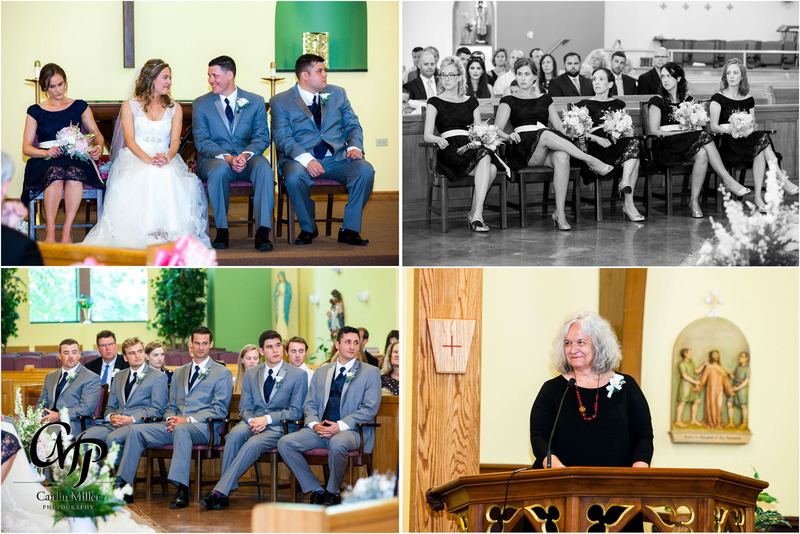 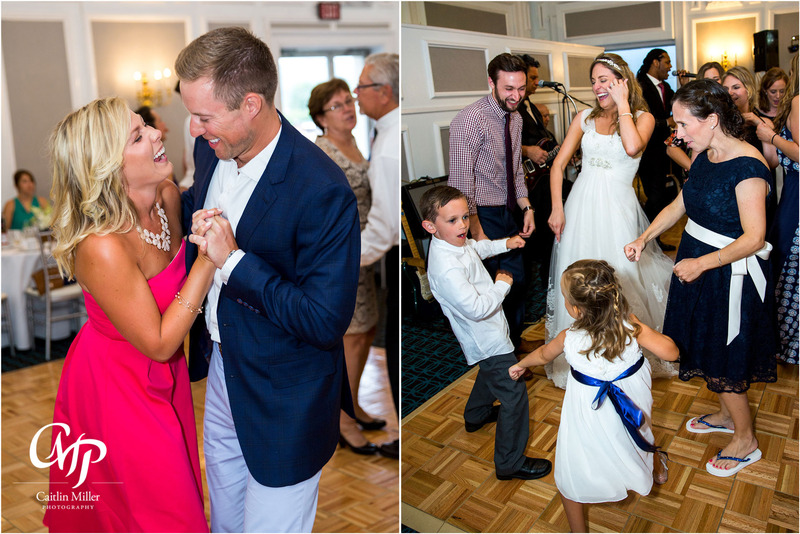 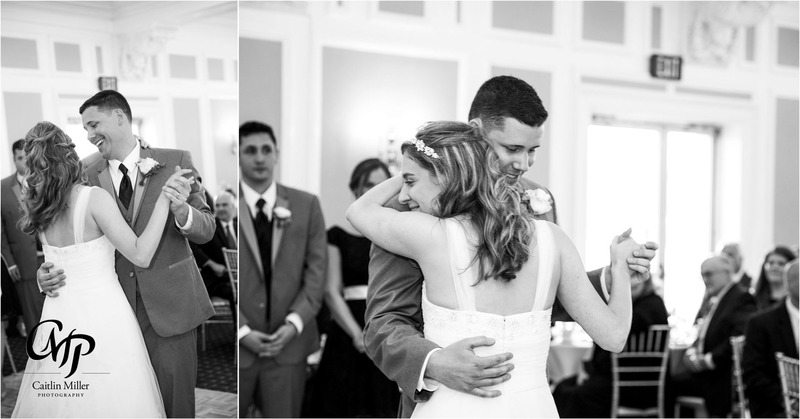 Finally, here is an example of how amazing these photos would look in Elise and Dan’s living room!